Nominations are now open for World Dairy Expo Recognition Awards. 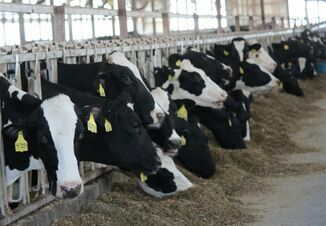 Producers, organizations, academic staff and others involved in the dairy industry are encouraged to nominate individuals for their outstanding work and dedication to the dairy industry. Dairy Woman and Dairyman of the Year: These two awards, the Dairyman of the Year and the Dairy Woman of the Year, are presented to active dairy producers whose primary source of income is derived from their dairy farm. 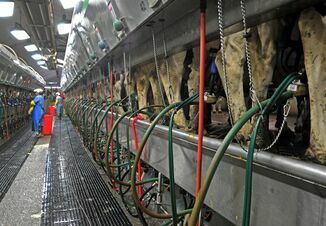 The producers selected to receive these honors excel in breeding quality animals while maintaining efficient production. Award recipients utilize progressive management practices, serve their communities and are involved in government activities, breed organizations and other aspects of the dairy industry. International Person of the Year: The individual who receives this award will be recognized for their contribution to improved international relations, business development, trade and cooperation in the dairy industry internationally. 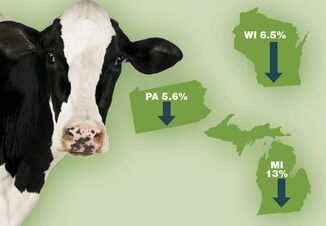 The application, along with lists of past winners, is available at worlddairyexpo.com or by contacting the Expo office at 608-224-6455 or wde@wdexpo.com. Nomination applications are due February 1, 2017. Recognition Award honorees will be recognized during the 2017 World Dairy Expo, October 3-7, at the Alliant Energy Center in Madison, Wis.